Term or perm? This sounds like something you might hear from a hair stylist, but they’re actually the two main types of life insurance. Because September is Life Insurance Awareness Month, now is a good time to learn about the differences between term and permanent life insurance. Term life insurance is insurance that covers you for a term — a certain period of time. While there are level premium term policies that keep premiums the same for a specified number of years, the most recognizable type of term insurance is renewed annually. Declining health can increase your cost, and premiums typically increase as you age. While term life insurance offers a death benefit, it does not offer cash value. A few policies may offer a return of premium option, usually at a higher price. 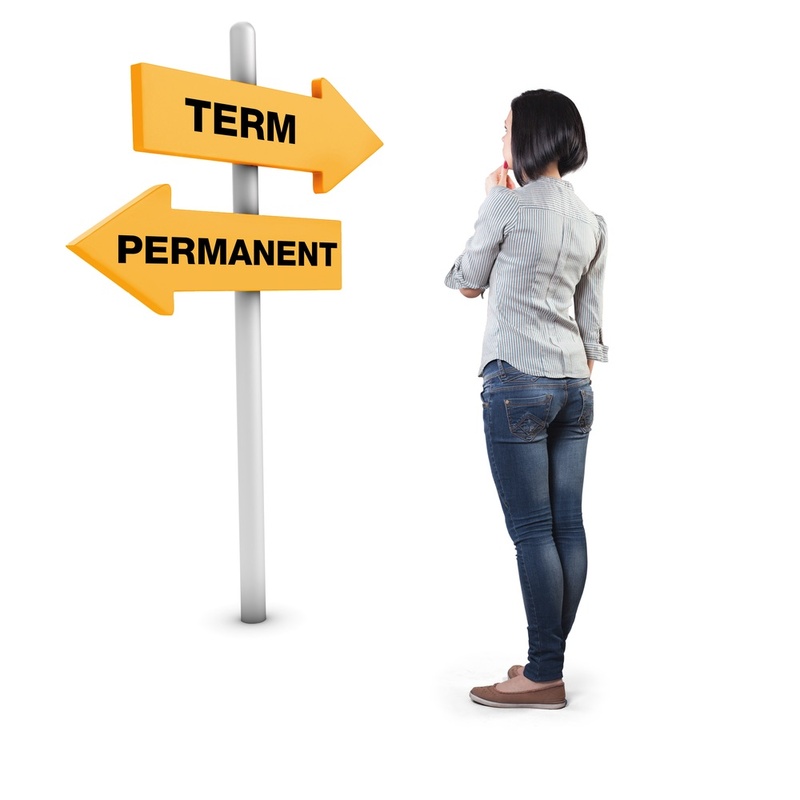 Term life may be appropriate if you have a temporary insurance need or limited financial means. If you buy term, consider a policy that allows you to convert without medical underwriting to permanent life insurance at a later date. Like term insurance, permanent life insurance offers a death benefit. Premiums for permanent life insurance are typically more expensive in the beginning than for term insurance, but never increase as long as you own the policy and pay premiums on time. Term or perm? It’s your choice. Talk to an insurance professional to learn more. * Loans and withdrawals can reduce the policy’s cash value and death benefit, and they may result in a tax liability. They can also cause the policy to lapse. If the policy lapses, or is surrendered, any loans considered gain in the policy may be subject to ordinary income taxes. If the policy is a Modified Endowment Contract (MEC), loans are treated like withdrawals, but as gain first, subject to ordinary income taxes. If the policy owner is under 59 1/2, any taxable distribution from the policy may also be subject to a 10% federal tax penalty. Talk to a tax professional for information about the tax treatment of withdrawals and loans.